The Advanced Skills Camp is for advanced players entering grades 9-12. Emphasis will be placed on individual skill through position work and defensive and offensive concepts. The campers will learn how to put those skills and concepts together to excel in game situations. Advanced Skills Camp is also a great opportunity for players to meet our staff and players and learn more about the Little Rock Women's Volleyball Program. Where To Report / Registration / Awards: Registration is at 2:00 pm at The Jack Stephens Center on the main level on the first day of camp. All grades register at this time. What is included: The advanced skills camp includes hotel accommodation for the night of July 20th, food, and transportation from the Little Rock Airport to the hotel, as well as from the hotel to the Airport. There will be a shuttle from the hotel to UA Little Rock campus. Transportation to and from Little Rock is the camper's responsibility. 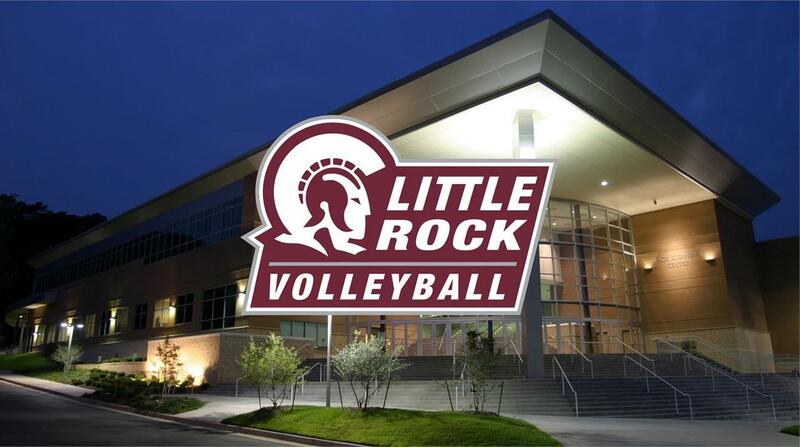 Facility & Eligibility Statement: Most camp sessions are held at the Jack Stephens Center, a 5,600-seat facility that is the site for all Little Rock Trojan volleyball games. All camp sessions are open to the public and parents/friends are encouraged to attend. The camp is open to any and all entrants limited only by number, age, grade level and/or gender. Physicals: All campers must send in this application or bring to registration a 2017-18 physical signed by a doctor. Campers must have this to participate in the camp.